You don’t usually need the tissue box at your side when you watch a commercial, but Gillette has now done the unlikely- bring you to tears while watching a man get his face shaved. More specifically, the new Gillette Treo razor is billed as the first razor specifically made for caregivers who shave others. Anyone who’s been in that position knows how physically awkward and potentially risky it is to give an older man a clean shave. Yet it’s often an essential task for caregivers, and a way to maintain the dignity of a man who can no longer shave himself. 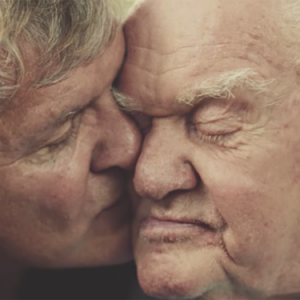 While we can’t vouch for the razor itself, we can give kudos to Gillette for the poignant 3 minute video they’ve made showing an aging father and devoted son at their most vulnerable. So pull out your hanky and Watch Here.